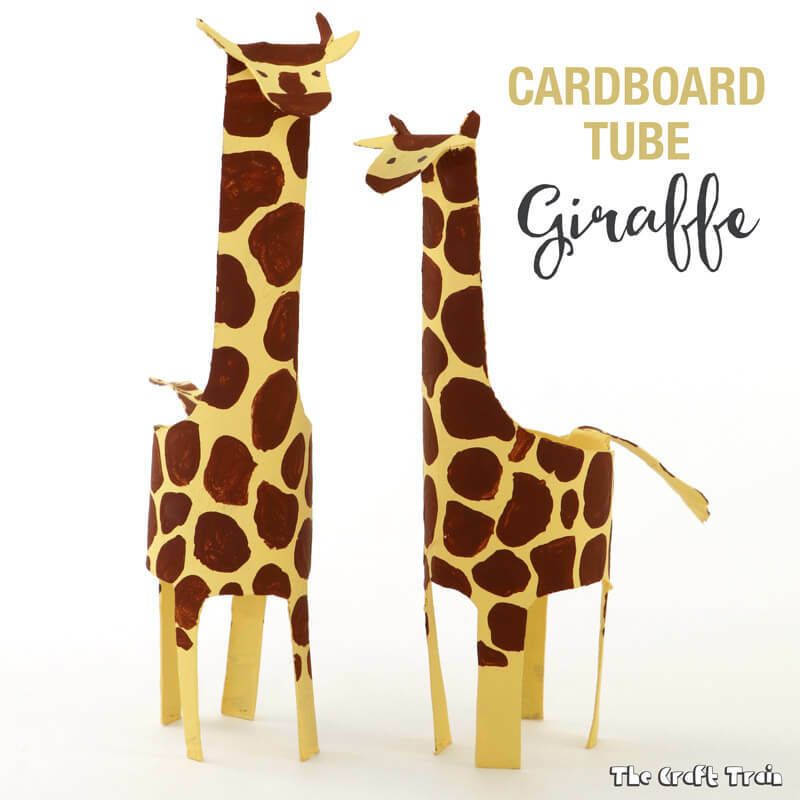 Create a cute cardboard tube giraffe. 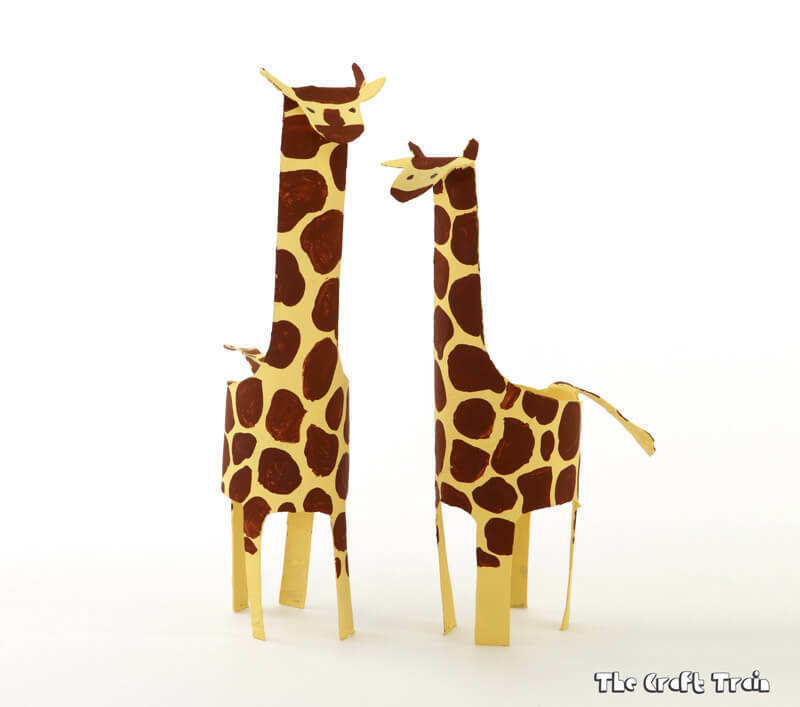 This is a simple animal craft which kids will love. Giraffes are always one of my favourite animals to see close up. They are so majestic and graceful, and I love their unique pattern. Technically they are not a jungle animal – and I have messed up because this is a jungle blog hop! 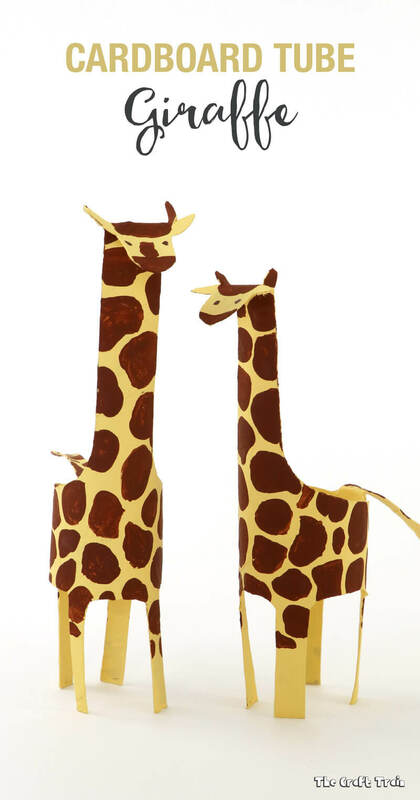 When I showed my eight year old my ‘jungle animal craft’ she gave me a lecture on how giraffes don’t live in the jungle but on the savanna, which is perfectly true. You can see the rest of the jungle animals (which actually do live in the jungle) by some of my amazing craft blogger buddies at the end of this page. Still, you have to admit giraffes are very exotic-looking, and totally worth crafting. To make these ones I’ve used a simple cut and fold technique which is easier than it looks. 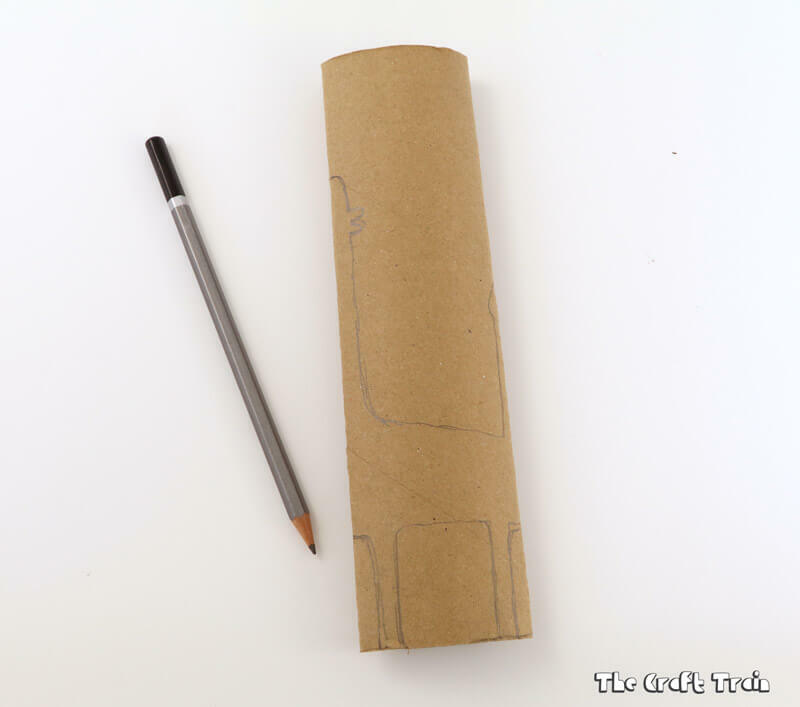 Flatten your paper towel roll and sketch a giraffe outline as shown in the image below. 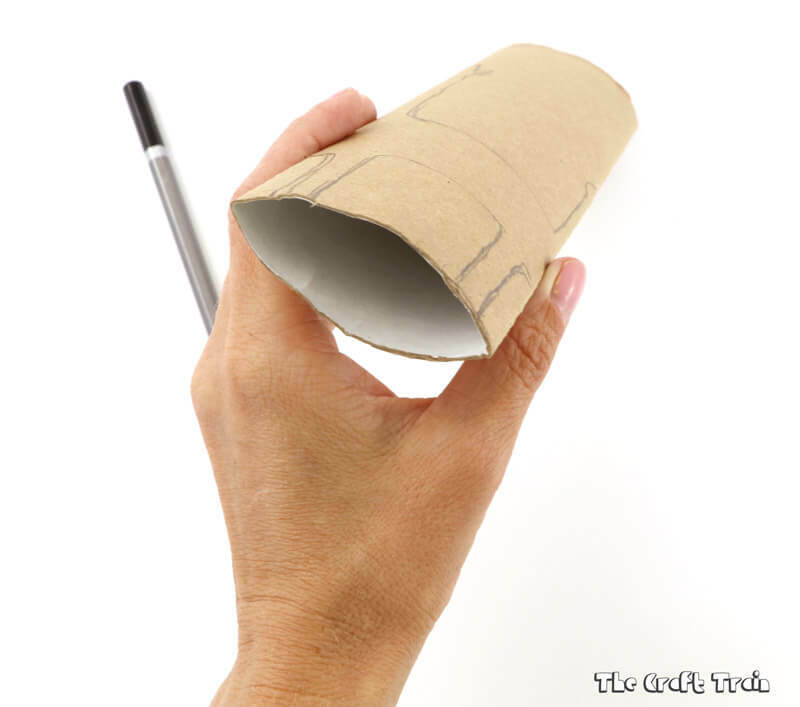 Cut this shape out with a pair of scissors and then pop your paper roll back into a round shape. Fold the head down, turning the one of the bumps on the ear section upwards to make little horns (ossicones). 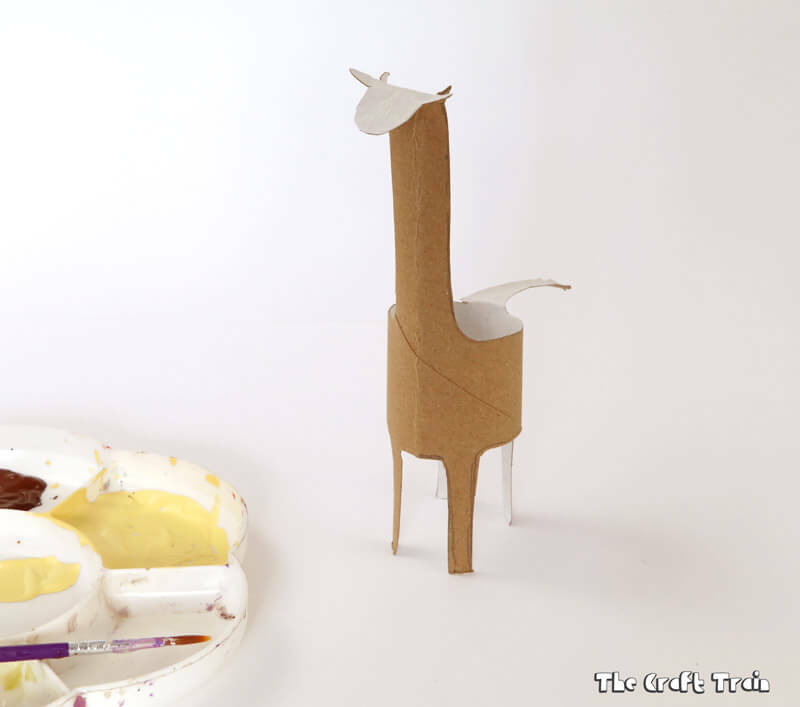 Fold the tail down and then you are ready to paint your giraffe. I painted mine in a pale yellow colour, then waited for this to dry completely before painting on the spots. As a final touch use a black marker to draw on the eyes. Here are more jungle animals made by some of my amazing craft blogger friends. • These cardboard tube foxes are so cute! 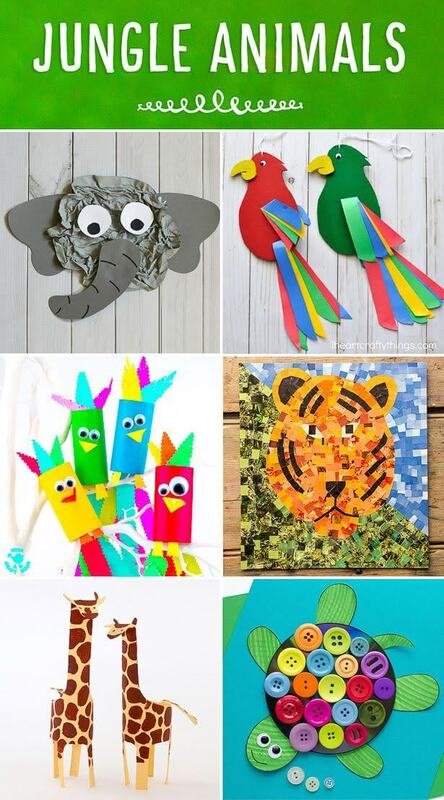 Find loads more inspiring animal crafts on our animal crafts for kids board on Pinterest too!